Motorola has today launched a brand new, entry-level Android handset that slots into their current line-up below the Moto G. Designed for emerging markets where featurephones and low-end handsets have a huge grip on the market, the Moto E packs decent specifications for its low price. The Moto E includes a 4.3-inch qHD (960 x 540) display with a pixel density of 256 PPI, powered by a 1,980 mAh (7.5 Wh) battery and a Qualcomm Snapdragon 200 SoC. The Snapdragon 200 isn't hugely powerful, with a 1.2 GHz dual-core ARM Cortex-A7 CPU and Adreno 302 GPU, but it should get the job done when paired with 1 GB of LPDDR2 RAM. Other specs include 4 GB of internal storage, expandable through a microSD card slot, a 5-megapixel rear camera, dual-SIM functionality, splash water resistance, and standard 3G/HSPA radios. It will run Android 4.4 out of the box, with Motorola claiming that it will receive future updates in a timely manner. 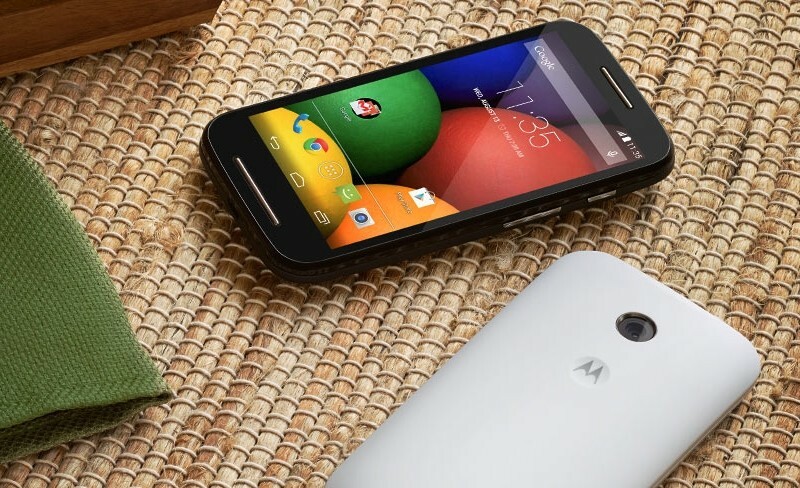 Alongside the Moto E, Motorola has also launched a Moto G variant with LTE and microSD card support. When we reviewed the Moto G, the lack of these features were some of the main issues with the device, so it's great to see Motorola addressing criticism with a new model. Both devices will be available in the coming weeks in over 40 countries and on 80 carriers; the Moto E will set you back $129, while the Moto G 4G will cost £149 in the UK (around $210 after VAT is subtracted).